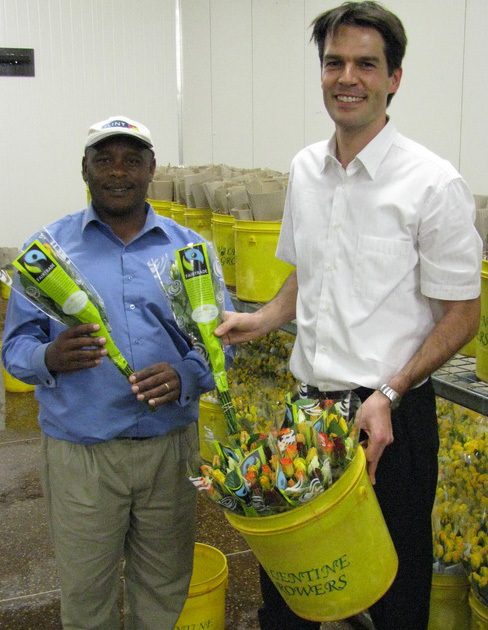 Giving Fair Trade certified blooms are the greatest way to show one cares about the person getting the flowers as well as about the workers on flower farms. Fair Trade certification ensure that workers on large-scale flower farm have access to union, take delivery of better wages, and work below safe labor conditions with defensive equipment and proper training. Growers are able to keep the best workers because of these profits, leading to better output and better flower quality. In addition, Fair Trade certification provides workers vital financial support in the form of the Fair Trade premium: 10 percent of the commercial price of every stem sold is allocated to a development fund that gives workers the opportunity to invest in the future of their communities. Fair Trade certified flowers are becoming increasingly popular and are available generally in popular retail outlet such as Whole Foods Market. Since the Fair Trade Certified flowery program launch in 2007, U.S. consumers have purchase over 15 million Fair Trade stems, resulting in an moving $800,000 in community development funding for workers to invest in their communities.